A VA foreclosure happens when a borrower is delinquent on their mortgage payments and their VA loan lender claims ownership of the home that they have financed. When a VA loan lender forecloses on the borrower, the borrower must move out of the house and loses all possession of the property and the home’s equity. While borrowers may still be able to qualify for a VA loan after foreclosure, these transactions can have serious repercussions and expenses. The U.S. Department of Veterans Affairs suggests that all veterans who are having problems with their mortgage payments speak with their lenders as soon as possible in order to avoid foreclosure. 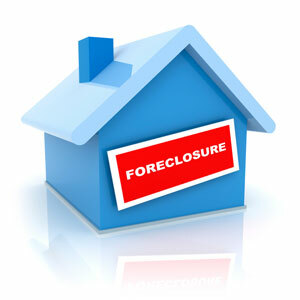 VA lenders ideally don’t want to foreclosure on a home, because it presents a cost to them as well. VA borrowers will have diminished entitlement, hurting their chances of securing more VA home loans in the future. Loan forbearance – While not always an option, some lenders may allow VA borrowers the option of loan forbearance, which essentially means that the lender will temporarily readjust the borrower’s monthly payments to a lower, more affordable amount without any penalties or fees, although the interest for these loans may still accrue. In some cases, lenders may even allow the borrower to forego monthly payments entirely, simply paying the interest until able to restart standard monthly mortgage payments. VA loan modification – Through VA loan modification, borrowers can seek alteration of the mortgage terms to increase the affordability of the loan, especially through interest rate reductions. However, this option typically serves borrowers who experienced temporary hardship and can be even more detrimental for borrowers who modify their VA loan but continue to default on mortgage payments. Repayment schedule – Lenders may offer a repayment schedule as an alternative to messy foreclosure proceedings. With this schedule, borrowers will make gradual payments each month, in addition to their monthly mortgage payments, to cover the deficiency of the missed payments. Short sale – While somewhat difficult to perform, a VA short sale can also be an effective way to mitigate the potential credit damaging effects and expenses of a foreclosure. Essentially, a short sale allows the borrower to sell the property for less than the amount owed on the mortgage balance, with the lender agreeing to take a loss. Deed-in-lieu of foreclosure – Rather than undergoing a foreclosure, borrowers can simply relinquish their ownership to the deed of the property, bestowing this to the loan servicer. Due to the costs and hassle of foreclosures, many lenders prefer this method than initiating the formal foreclosure proceedings. When dealing with the possibility of a VA foreclosure or a VA short sale, borrowers are going to want to talk to their lenders as soon as possible to discuss options. It’s imperative that throughout the entire lending process, borrowers are matched up with a reputable, ethical lender who will help them make good decisions. Borrowers are encouraged to do as much research as possible to receive the best loan rates and terms.